A number of new services have surfaced to meet these challenges. In this post, I will examine the solutions they provide and the implications of these solutions. Content curation is the searching, selecting, and sharing of valuable content on a specific subject. Selection has traditionally been done by humans, and indeed, some definitions of content curation specify that it should be done by humans, but in practice it is more and more often done by machines. I think automated curation is a sound idea; it is plausible the computers can curate instead of merely aggregate, although the success of its implementation remains to be seen. I will attempt to categorize the various curation solutions with examples of each category, after which I will evaluate what all of this means. Scoop.it is a content curation service that comes with content discovery tools that can aid you in finding quality content, after which you can manually share it in your topic, which is essentially a topic-based content repository. Scoop.it is traditional content curation aided by new technology: the curator makes all the choices and can bring in material from anywhere, but the configurable discovery tools help find material and allow sharing it easily. It is the evolution of content curation as we know it, but the big question is whether this is enough: as the amount of available content increases, it will be increasingly difficult to keep up with the information flow. One way to answer the information overflow is to get lots of people to curate it collectively. Digg and StumbleUpon are social bookmarking sites, which effectively act as crowdsourced content curation engines. There are differences in the implementation, as Digg tends to drive a whole lot of traffic to the most popular content whereas StumbleUpon is based on a degree of randomness that exposes less obvious content to more users and uses the results of this random discovery to promote popular content to an increasing number of users. To an extent, crowdsourcing works, and according to some reports StumbleUpon distributes a significant amount of traffic (see the story here). Crowdsourcing works best when there is a sufficient number of people interested in the subject. For more niche subjects, it is not able to provide results. Then again, niche subjects should have less content in the first place, so merely being able to find it might allow an individual curator to perform adequately. Paper.li is an automated content curation service. You set up search criteria, such as keywords, Twitter lists, Twitter users, or RSS feeds, and the service creates a daily newspaper for you from the links it picks up from them and can even use your account to tweet to promote it. After setting up the search criteria, all the rest is done automatically. The paper is published as configured with no interaction whatsoever. The newspaper format employed by paper.li is comfortable for people to read. We are used to it, it is familiar, and this makes it attractive. However, it can also be misleading: if the content is based on certain keywords and there is no editorial work involved, is it really content curation at all? I would say that it is not, as it lacks selectivity! Paper.li has recognized this, and has constantly introduced more editorial features: you are able to filter content based on both user and keyword (only content on certain topic from certain users appears), block content from certain users in the search criteria, as well as remove articles or rearrange them after the paper has been published. A preview mode has also been promised, so at some point you will be able to tweak your paper to your liking before publishing it. With these advanced features, paper.li can be used as a semi-automated content curation platform: it provides you with a newspaper automatically, and you can then easily tweak it to your liking. This is semi-automated content curation: you don’t manually seek out content, instead you set the basic criteria, weed out the chaff, and arrange the rest in order of importance. Paper.li can also be used as an automated content curation platform in one sense: you curate the people, and optionally the topics, manually, and paper.li aggregates all the content automatically. Once you have set up the people and the topics you want to follow, the service can run in full automatic mode. Is curating people somehow better than aggregating content based on keywords? I would argue that it is. Keyword-based aggregation can be gamed, just think of all the search engine optimization in the past years, especially the black-hat variety. People-based aggregation does not provide such opportunities, as you need to pass the vetting process before being released to the stream. Let’s examine a service that is fully based on the idea of people curation. Triberr‘s slogan is “The reach multiplier!”, but at its core it is a content curation service. The users form tribes, and every time anyone in a tribe publishes a new post, everyone in the tribe tweets it to their followers (scheduled, not simultaneous). Nowadays, it is also possible to manually approve each tweet, so Triberr can actually also be used as a traditional content curation service instead of an automated one. In automated use, Triberr moves the curation away from individual content into curating the people you want to be in a tribe with. In manual use, it filters content based on the content creator, and allows you to manually curate this set of content for sharing in Twitter (and probably with other social networking sites in the future). Triberr lacks one feature that paper.li has: the ability to automatically curate content based on both the content creator and the topic. This means that unless all tribe members share very similar content, the added value from curation is diminished, because all content does not match the interests of the curator or his audience. Automated content curation based on manual people curation (tribe members) has great potential, when the members constantly post closely aligned content. The more diverse the tribe, the more noise is introduced into the stream. Klout is a service that assigns everyone an influence score on a scale of 1-100 based on their activities and the actions those activities prompt from others on various social networks. However, Klout is actually used as a filter. Several applications display the Klout scores of people: for example, in the popular Twitter application Hootsuite, you can filter your stream based on the Klout scores of people you are following. 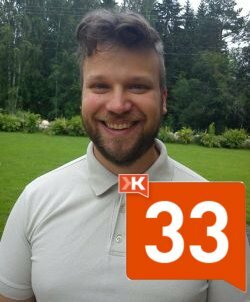 Klout scores are also used as a basis for following people on Twitter, inviting speakers to seminars, and even hiring people (for examples, read this). What does this have to do with content curation? Klout is not a content curation tool per se, because it is not a sharing solution. However, it is a tool for searching and selecting people and content based on the content creator. Whereas in paper.li or Triberr you need to know who you are looking for, Klout rates people you do not know and allows you to filter out content from people below a configurable notability threshold. All of this is part of the same evolution process. From individual content curators to crowdsourced content curation: Individuals cannot keep up with the pace of new content, even though they have better discovery tools than before. Crowdsourcing can, although it is not suitable for promoting radical new ideas: the dictatorship of the masses is unavoidably conservative. From manual to semi-automated content curation: Individual content curators are forced to automate as much of the process as possible in order to stay relevant. From content curation to people curation: When there is too much content, you vet the content creators, manually or automatically. Those who pass get exposure for all of their content. How do these trends interact? Social networking of the content creator is vitally important in order to create an audience as isolated content becomes increasingly difficult to discover and curation focuses on people instead of individual content. Build it, and they will come, is dead. Automated content curation is not yet an option. This is clearly visible in the changes paper.li and Triberr have been forced to make to their services. Both started out as mostly automated services, but popular demand has forced them to introduce more editorial features. This is good! They are on their way to become very useful semi-automated content curation services. The risk, however, lies in the fact that the automated features are not gone. They never will be, because if paper.li and Triberr removed them, some other service would arise to take their place. There is a major risk that these automated features will increase the amount of noise in social networks and diminish the value of these services, because it is difficult to assess whether content from these services is automated noise or valuable, manually vetted content. This difficulty is exacerbated by the fact that this noise makes the noise-makers seem more valuable for automated people filters (Klout)! Here is an example of how much Triberr can affect your Klout score (note: he is not a noise-maker). Triberr: Form a large tribe, have everyone tweet automatically. Lots of tweets, lots of mentions = content seems valuable. Paper.li: Publish automatically based on many keywords. Mention people in tweets that promote your newspaper. Some will retweet and follow you. Retweets and followers = content seems valuable. Because automated content curation is as of yet unable to provide reasonable results, but using it provides highly increased exposure, it is the tool of spammers of the future. This raises some serious questions for Klout as well: should Klout take mentions from Triberr into account at all? How could Klout prevent gaming the system through automated use of paper.li? The very services that strive to save us from information overflow run the risk of making things worse if they are used malevolently. At the same time, they may become mandatory for all content creators who want to create content for an audience, because it may become nigh impossible to be discovered without using them. All of this ensures that the amount of information in the streams will keep increasing. Whether it will be signal or noise, remains to be seen.